There are several varieties of aptitude tests, from college or university entrance tests, Nursing Entrance Tests, to employment tests used to screen job applicants. Unlike an achievement test, an aptitude test does not measure what you have learned so much as it measures your ability to learn and adapt. An aptitude test is designed to give an idea of your future performance in a given area, whether that area is school- or job-related. 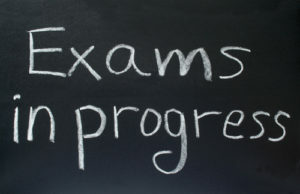 See our post on the Different Between Aptitude and Achievement tests. 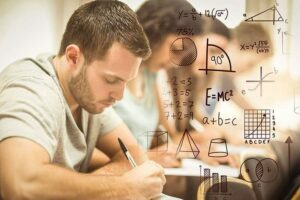 Aptitude tests cover your ability and not what you have learned, so studying the material covered by the exam will not help, not will memorizing lists or dates. For an aptitude test, you have to prepare for the types of questions that you will be asked, and the type of information that will be on the test. Here are some common techniques that will prepare you for an aptitude test. Establish a study plan. Start early! Go through all the different kinds of questions on the test (ie types of questions) and type of information on the test and see where you need practice. Plan out a schedule so that you can give the most time to practicing the types of questions and types of information you are the weakest, the most. The best study advice for aptitude tests is practice, practice, practice! Many aptitude tests are Entrance tests and so there is a lot riding on success – if you don’t pass, you don’t get into the school of your choice. So it is normal and natural to feel stressed out. Here are some tips for dealing with test anxiety. I really enjoy looking through on this web site, it has fantastic blog posts. “And all the winds go sighing, For sweet things dying.” by Christina Georgina Rossetti.